installing energy-efficient on-board equipment, including lighting. using vessel shore power installations (“cold ironing”) where available. 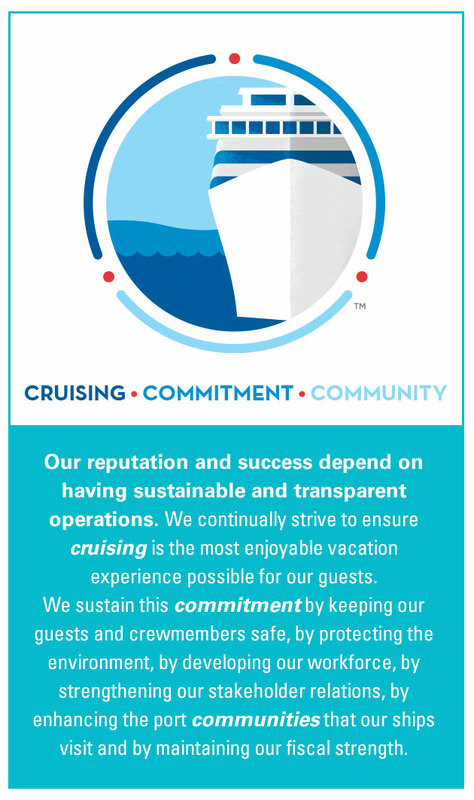 To reduce the environmental footprint and our fuel costs from operating our ships’ diesel-electric and diesel power plants, we implement measures that are based on existing International Maritime Organization (IMO) regulations. These measures include developing a ship-specific ‘Ship Energy Efficiency Management Plan’ (SEEMP) for each vessel. SEEMP became mandatory for all ships of 400 gross tonnage and above starting on January 1st, 2013. We also examine ways to increase energy efficiency through fuel homogenizers, which improve combustion and reduce fuel consumption. In addition, we optimize the use of diesel generators on board to improve efficiency, and we use waste heat generated by the ships’ engines to heat water instead of relying on the ships’ boilers. We reduce the power required by engine room ventilation fans, through use of variable-frequency fan-drive motors and related pressure and temperature control systems. researching and developing emissions-reduction technologies.